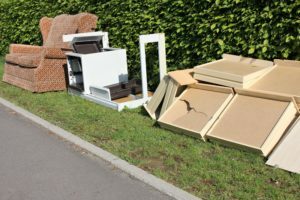 Whether you’re moving, cleaning, or just emptying the home of a recently departed family member, house clearance can be a little intimidating and unnerving. The challenge begins with the memories associated with even the most trivial items, like a bedside cabinet, a lamp or two-decades-old drapes. If you manage to navigate that, the next challenge lies in finding friends to help move the items outside the house, renting a lorry and loading everything up, and figuring a dumpsite where you can dispose of the goods. After that whole ordeal, you can expect sore muscles and stiff joint the following day. Wouldn’t it be great if there was a company that could handle everything on your behalf? An experienced company which can manage an entire house clearance with barely any supervision? A local company with an impeccable reputation and trustworthy staffs which you can trust with valuable furniture, computers and electrical equipment? A reputable company that can organise and execute the entire clearance in just a single afternoon? A company like Clear It Waste? Naturally, you will wonder how much does house clearance cost for a typical home. It is surprisingly affordable – more so at Clear It Waste, where we will give you a full quote in advance after an onsite visit. You won’t have to worry about being surprised with any hidden charges at the conclusion of the job. To borrow the parlance of our west Atlantic cousins, we’re straight shooters. The best part is after we complete the transition, we’ll take the time to put everything back into place in your home. Pick up the phone and find out how Clear It Waste can make life so much simpler for you.